When Grace was in school, she loved to read, but a book about children of Taiwanese immigrants just didn't exist. She longed to read a book about someone like herself, so when she grew up, she wrote one! It became a story that followed her all the way through the memorable Year of the Dog. During the year of the dog, Grace made a very special friend, entered a writing contest, went to a red egg party, celebrated with family foods, and entered a science fair. You will probably see some of your own family characteristics in her family ... if you happen to have an older sister who picks on you or a younger sister who makes you laugh. Year of the Dog grew from Grace's real experiences. 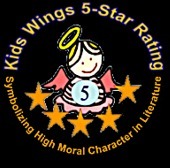 It may just inspire you to write a story about the experiences of a kid like YOU! 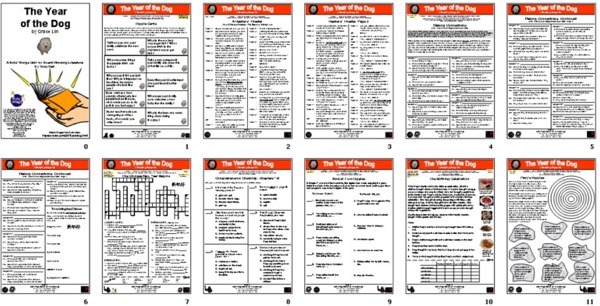 The 13-page Kids Wings literature guide PLUS interactive Jeopardy-type game, perfect for lesson plans, handouts, or projection on your SmartBoard for Year of the Dog by Grace Lin is now available! Buy Year of the Dog by Grace Lin NOW!